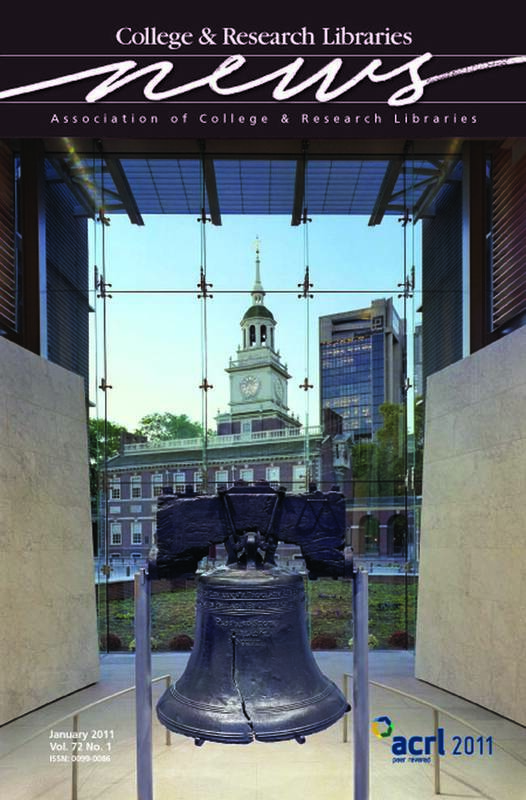 ACRL invites you to join us in Philadelphia, March 30-April 2, 2011, for ACRL 2011 “A Declaration of Interdependence.” In today’s fast-paced and changing world, keeping current is more essential than ever. At ACRL 2011 you will access cutting-edge information, discover new ideas, and engage in conversations with academic and research librarians from around the world. You can’t afford to miss it! See the preliminary program in this issue for complete details on the more than 300 peer-reviewed presentations, registration materials, and additional information. And make sure to visit the conference Web site at www.acrl.org/acrlconference often for updates and complete conference information. We’ll see you in Philadelphia!